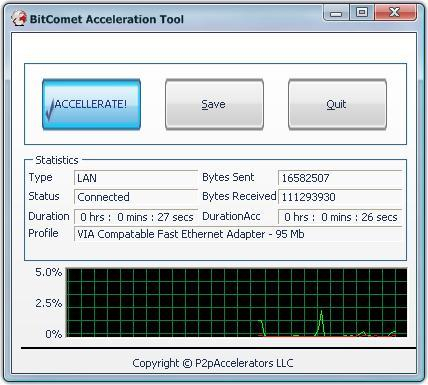 BitComet Acceleration Tool 4.1.0 - Download Win Apps. BitComet Acceleration Tool is a new add-on for BitComet. BCAT is a new add-on for BitComet file sharing program. Latest technology implemented will enable you to download MP3s, movies and other desired files faster than ever. The program will ensure that your bandwidth is used to its highest capability. In comparison to BitComet Acceleration Tool is lite p2p speeder that complements your Vuze file sharing client impeccably. It is able to integrate into the client without the user's assistance and discovers automatically more download sources than Vuze.